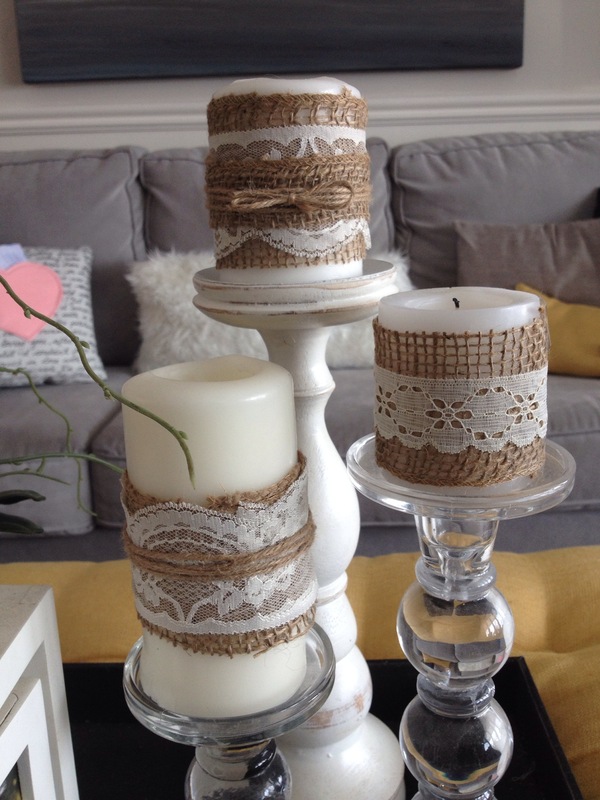 Who doesn’t love the rustic look of burlap paired with the soft feminine touch of lace? 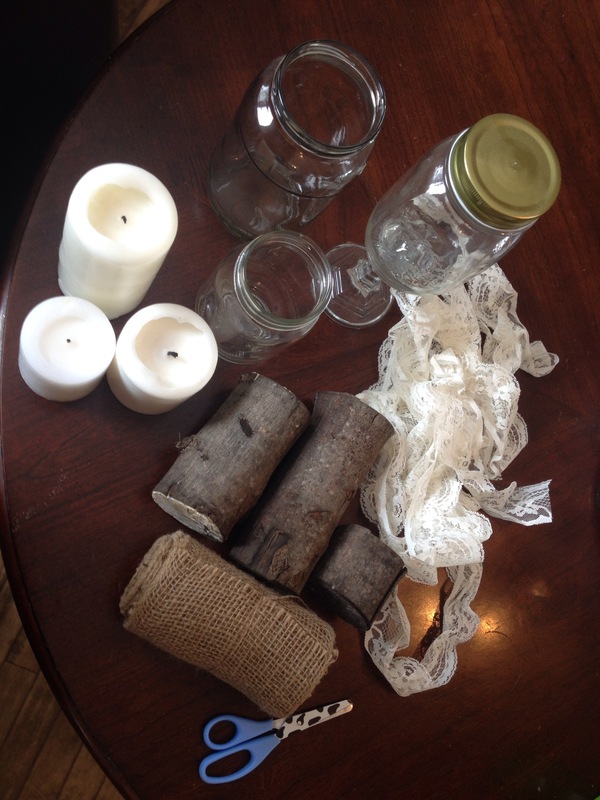 It’s a perfect juxtaposition that has inspired many projects using these materials, and I love that it doesn’t seem too specific to any particular season or holiday. 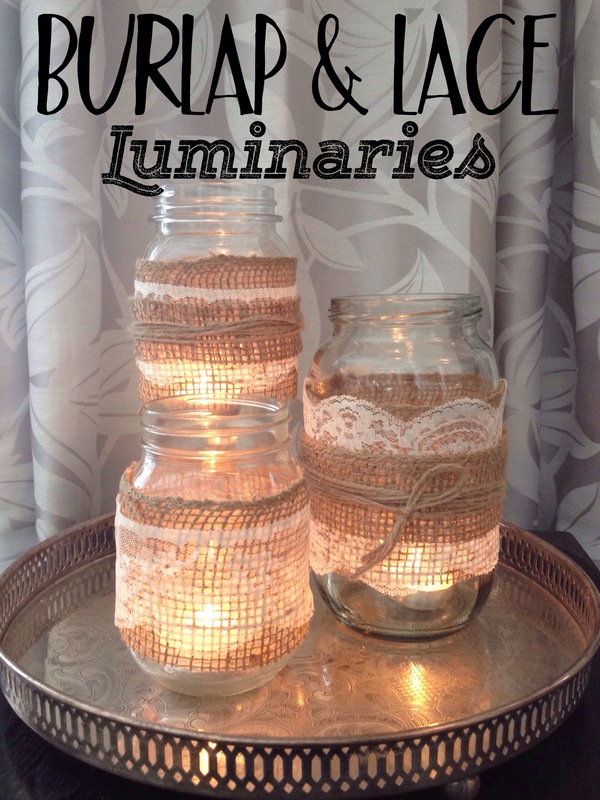 Wouldn’t these make a perfect housewarming or hostess gift, or even as table centerpieces at a rustic barn wedding? I also think they would look adorable all year round, on a front porch/stoop. I started with 3 jars. 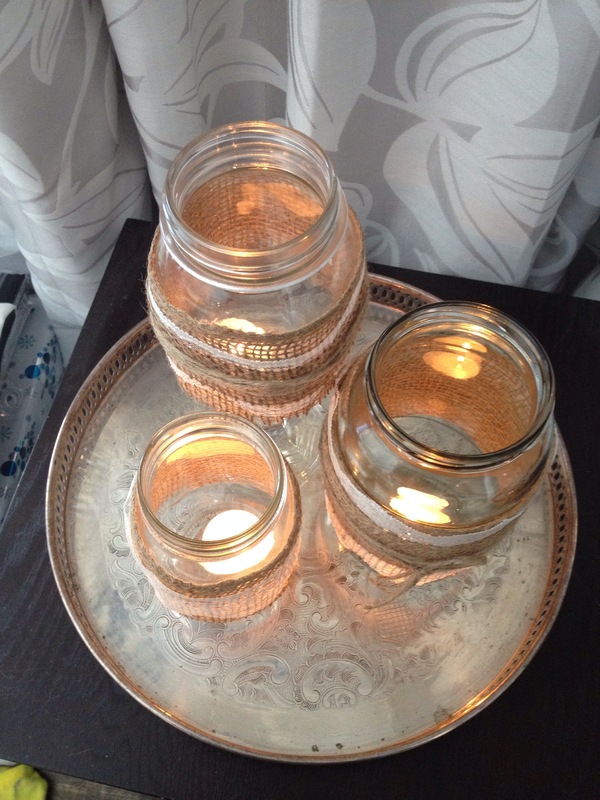 One of them is a pickle jar, and the other two are mason jars. 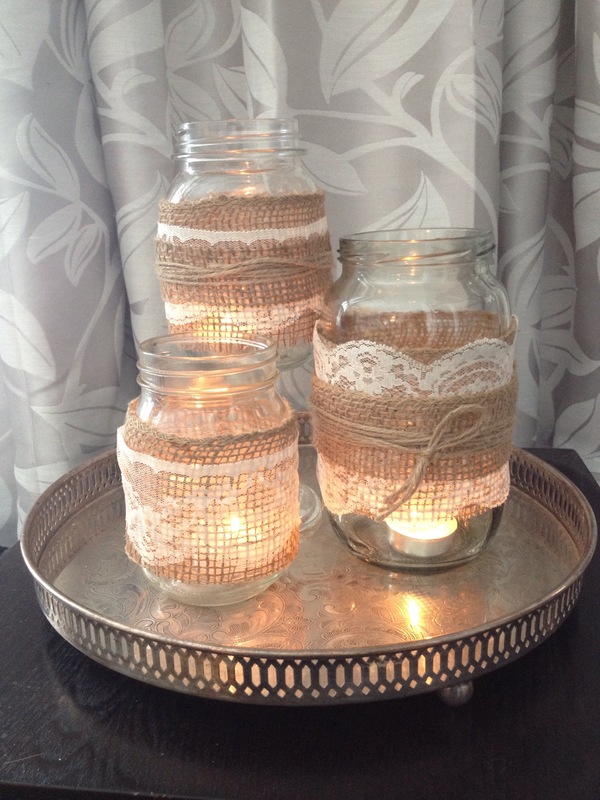 There doesn’t have to be any cost for these types of jars, as you can just shop your recycling bin. 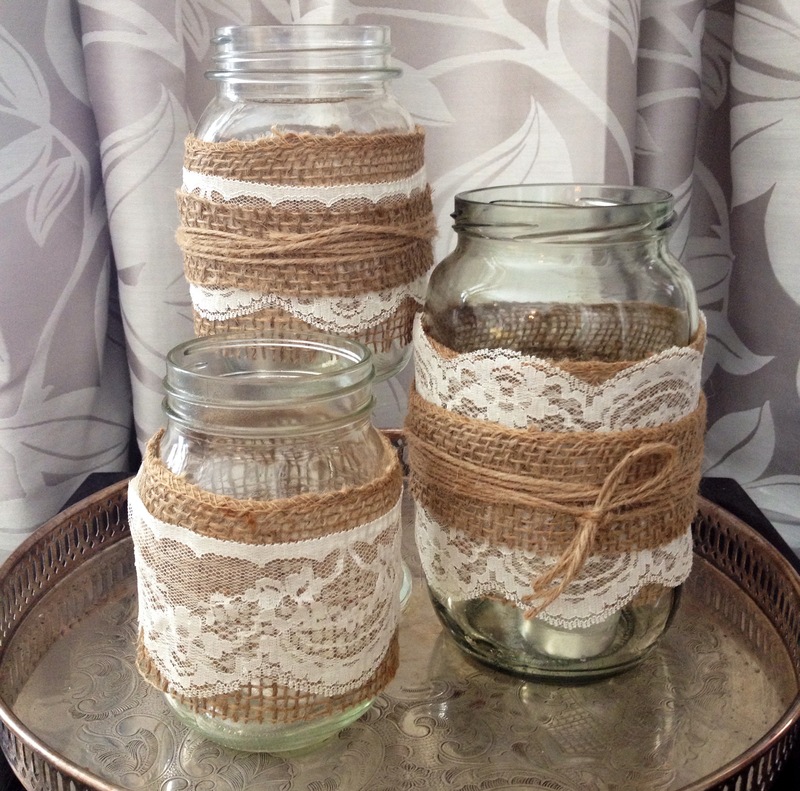 The other items, such as the burlap ribbon and lace can be purchased at your local craft store. I cut the burlap ribbon to size, and taped it in place. In retrospect, it would have been better to use double sided tape, but oh well. Then, I simply cut some lace to size, and taped that in place. 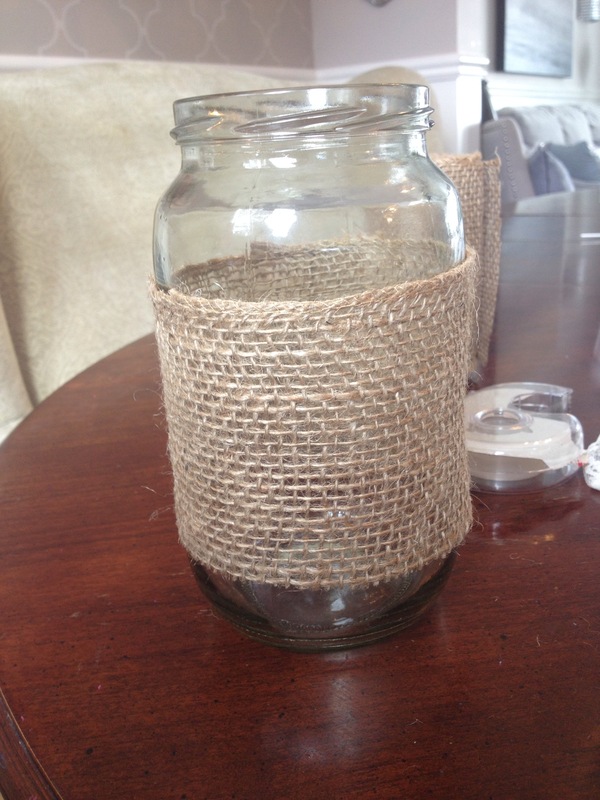 On some of the jars, I added another smaller ribbon of burlap, all held in place by some twine. Here they are all finished and pretty. I would recommend using a bbq lighter to light your tea lights, as it was a tad dangerous challenging to light the tea lights, and then gently drop them into place. Here they are all finished. This project took all of 15 minutes to complete. 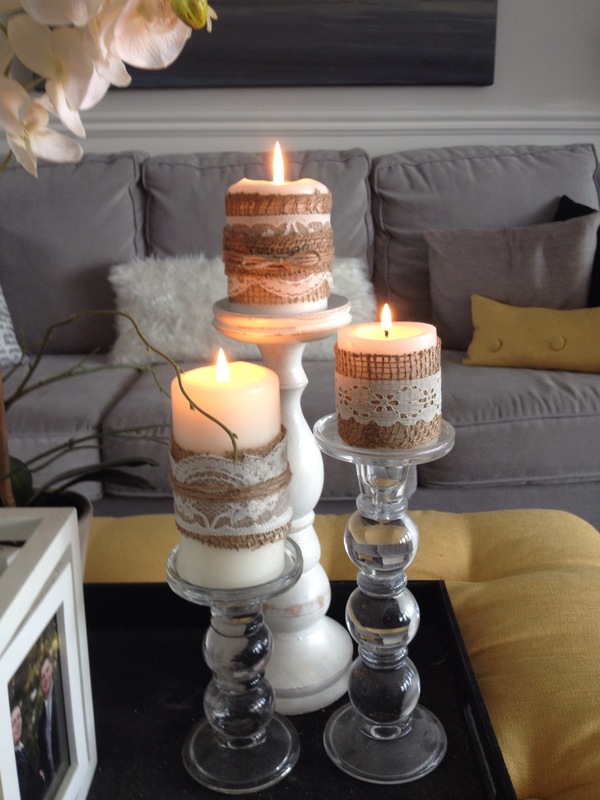 I repeated the same process on some of my plain white candles. 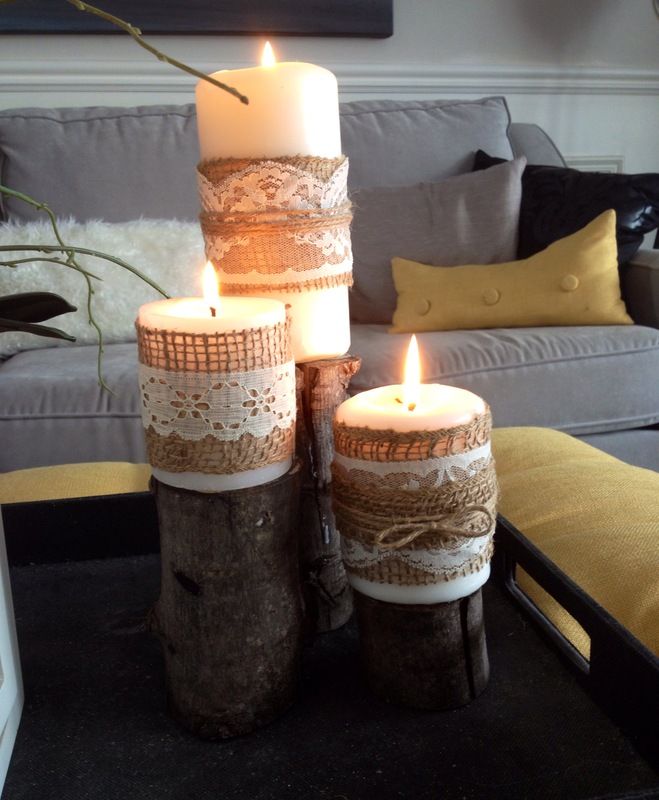 I ended up abandoning the “candle on a log” concept, as I preferred the way they looked on their original candle holders. But here’s a pic to show it anyhow. Well, that’s it for today. I’ll see you again on Wednesday. 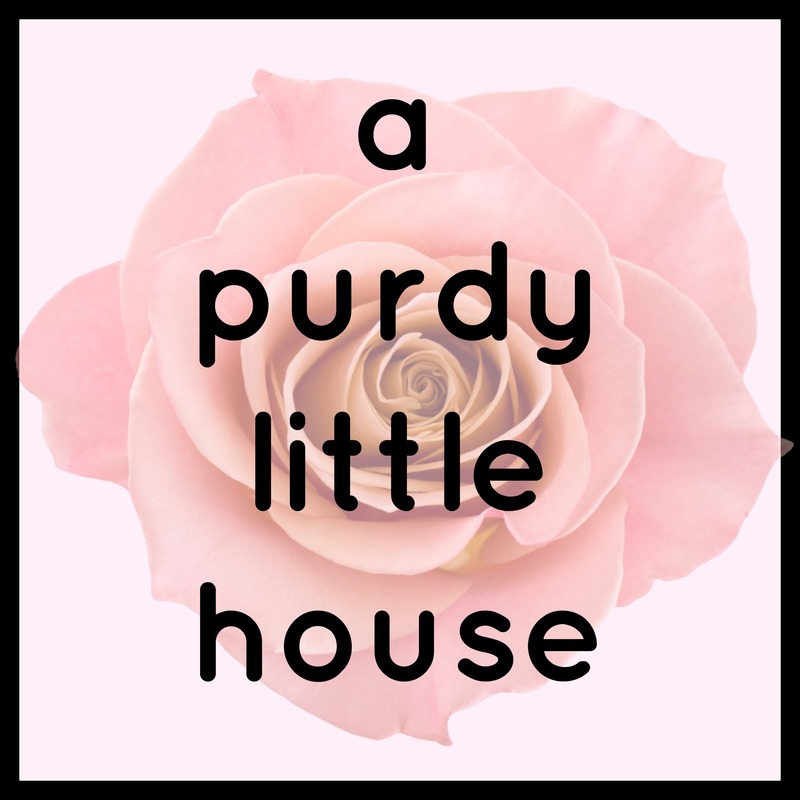 Thanks so much for checking out my blog, and if you enjoyed this post, please re-post on Facebook, Twitter, Pinterest, etc. You can also subscribe to my blog for email notifications whenever a new post is published.